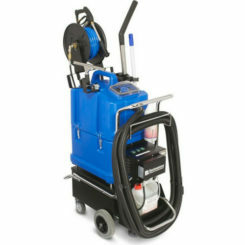 The FRV 70 is a patented machine which provides a complete cleaning and sanitising in food processing areas, these areas would consist of supermarkets, food factories, industrial kitchens and much more! 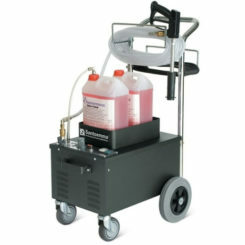 Dense foam allows the user to optimize the chemicals cleaning performance and sanitizing action. 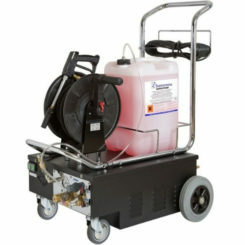 Vacuuming the residual liquid from the floor will leave the environments completely dry after cleaning operations. Vacuuming of residual water and dirt from the floor.